My hands are completely full and you are trying to hand me some dirty plates from your table. I set all of the plates in my arms down in front of you so you can choose which ones that you would like me to take. Wasn’t that nice of me? If my hands are full, my hands are full. 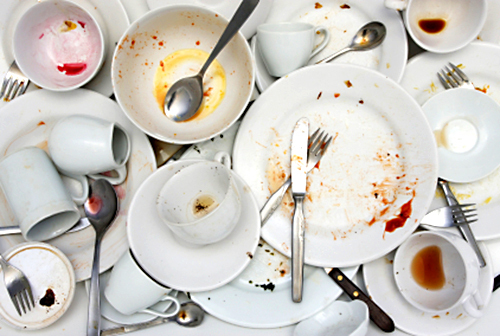 Your plate can sit there for a few moments longer while I drop these plates off and go and make some phone calls in the back of the restaurant, then use the bathroom, then check the scores of the game that’s on TV.